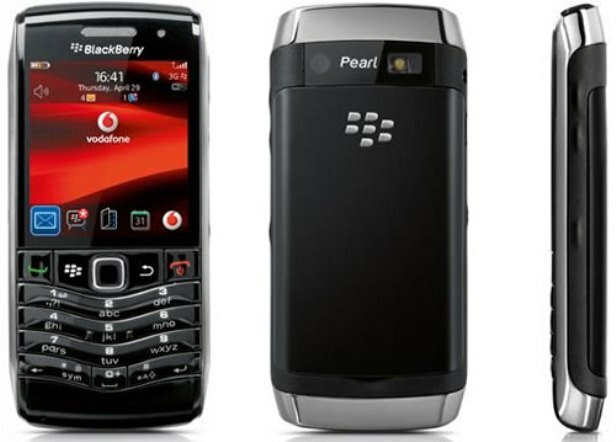 Released in April 2010, the BlackBerry Pearl 3G 9105 is a quality smartphone that runs on Blackberry OS v5.0. It is well-known for its efficiency and the fact that it’s well suited for working users – it comes with a document editor, and it incorporates Word, Excel, PowerPoint and PDF. However, as it happens with most such phones, this one can also be affected by viruses from time to time. If the phone is taking a long time to turn on, or applications are freezing, it might be best to hard reset the BlackBerry Pear 3G 9105. We recommend this procedure because it’s very quick, does not damage the software, and it solves all software-related problems easily. In order to better understand how it works, you should know that all the data will be erased from the device and the phone will be basically restored to its factory settings, which means a brand new OS. As you may already know, this BlackBerry phone comes with a TFT capacitive touchscreen attached with a touch-sensitive optical trackpad. It is a very good option for those who love entertainment, as it comes with a Wi-Fi hotspot, many available apps, and it supports most music files types (MP3, WAV, WMA, MP4, AAC, H.264). The only camera that comes with this device is a 3.15 MP one that’s located in the frontal part, and is equipped with geo-tagging and image stabilization. Before reading any further, you should consider backing your data up so you don’t lose anything important. Being a phone that’s mainly used for work by most users, we always suggest transferring the files into a folder on your PC, which can be done by connecting the BlackBerry to the computer via an USB cable. Using the BlackBerry Desktop Manager – the app that has been specially designed for such phones – you can select and copy everything from photos to music and contacts to apps. Now that you finished creating the backup, the first solution to take into consideration is, however, a soft reset. In case the software issues you encountered are not very complex, this one might solve them quite easily. To do so, simply press the Power button until the device is off, remove and reinsert the battery and try to turn the phone off after one minute. Either from the Home Screen or in a folder click on the Options Icon. Go to Security Options and choose Security Wipe. 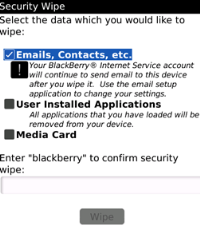 Choose what you want to delete by ticking the corresponding boxes and insert the password to confirm – the password is “blackberry”. Click on Wipe to get the process started and wait for a couple of minutes for it to end. The BlackBerry Pearl 3G should now have been reset to original settings, which means that all options or settings you changes won’t be available anymore. At the same time, all user data will have been deleted and you will have a blank memory. To start using the phone again, you’ll have to use the backup you made and restore all the necessary files.